Here is a roundup of my favourite skincare and makeup picks that I’ve been loving this November. 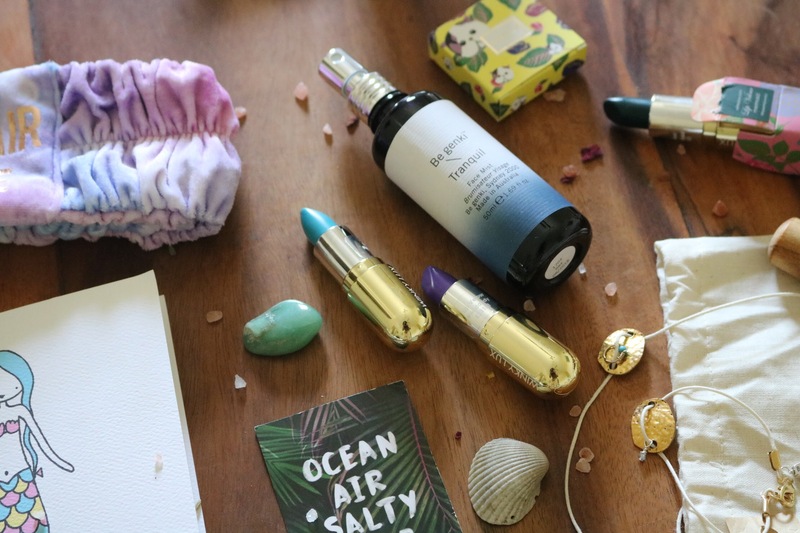 I’m currently in Australia for the year so you’ll see this post contains some new brands I’ve discovered and most importantly, all these products are super Beachy vibes. 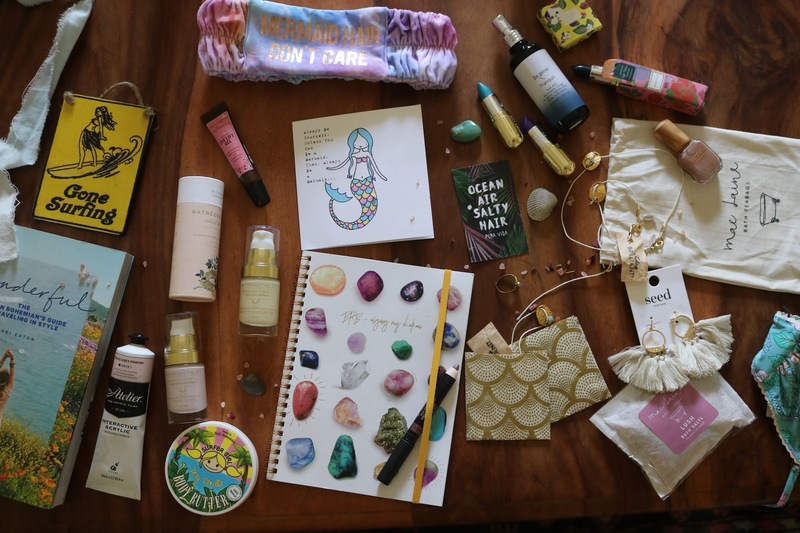 It’s beauty care for the mermaid soul… keep reading! 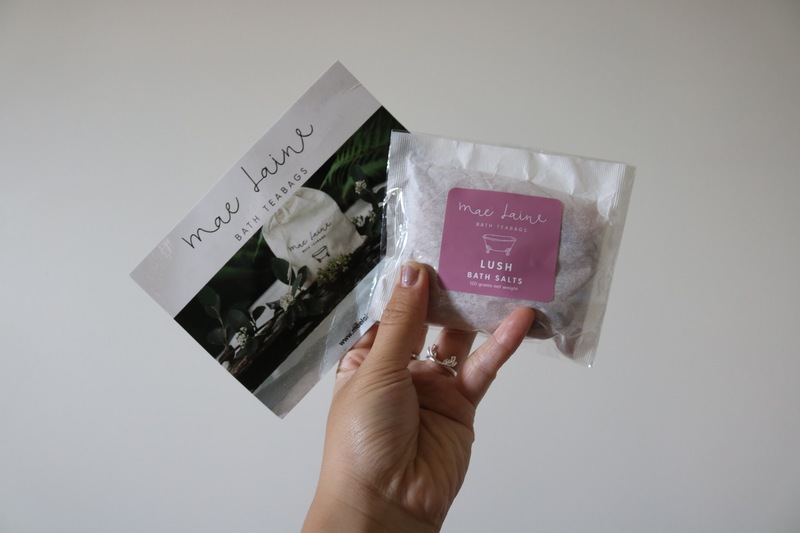 Mae Laine is a lifestyle brand focused on wellness, so you can rejuvenate and relax from the day to day hustle. 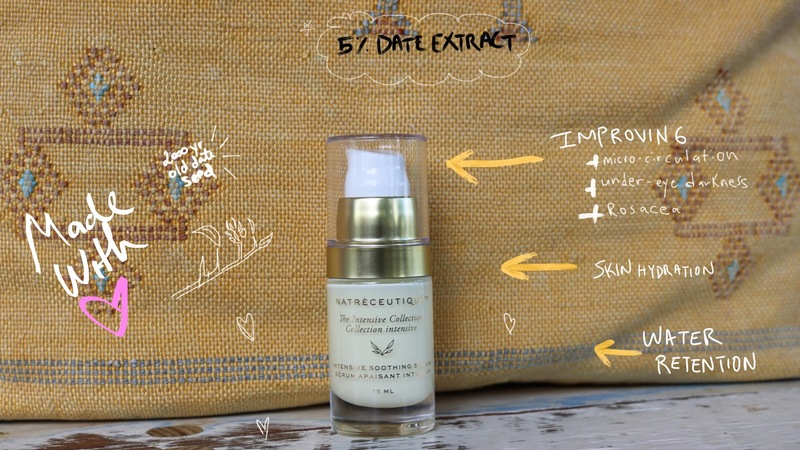 Their collection has been created to have a skin to soul nourishing experience in the comfort of your own home or as a self care treat while on holidays. I love a good soak after a long day. I had a friend show me around his farm and came back home with a ton of bug bites and skin irritations and decided to use these bath salts. It was really relaxing and stopped my skin ittitations and itchyness. My skin felt clean, soft, and smooth after my bath and loved that I just instantly felt better internally and externally. Would definitely recommend trying out his brand for some bath goodies. 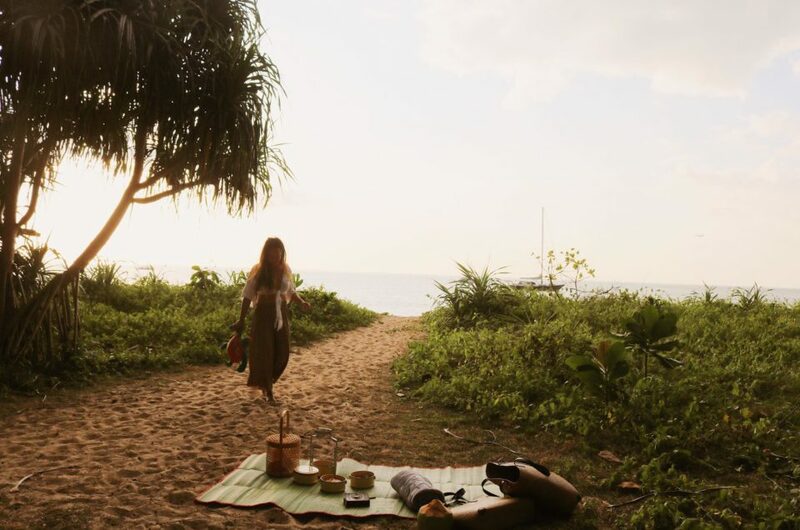 Great after a long day for relaxation, mindfullness and a peace of mind for your me time, and for the skincare benefits! I’ve used Cyberderm as my main skincare brand for about 2 years now and my skin has never been (and felt better). I’ve been soaking in that Aussie sunshine here in Byron and am grateful for that Vitamin D all year along. The only problem is that my skin has been drying up quite a bit because my body simply going through a huge weather change. The strong sun is also a factor in drying up my skin at the moment. 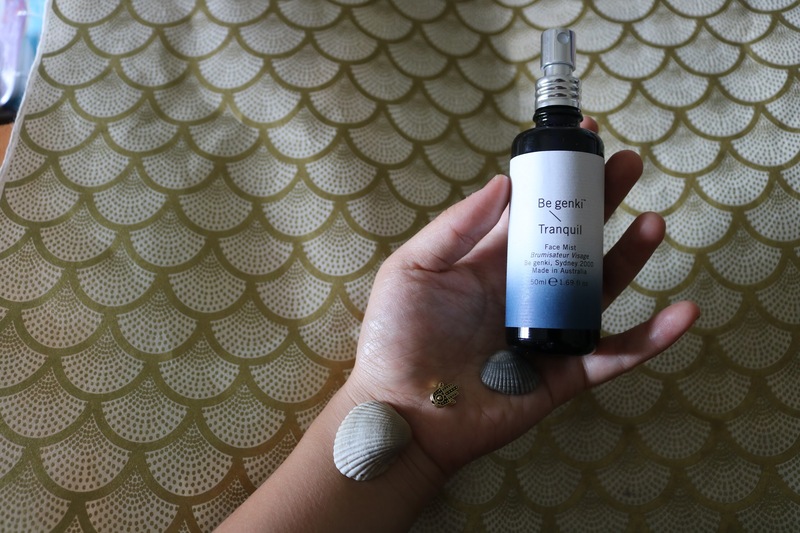 I’ve been using Be genki’s Be Tranquil Face mist on my face and body before I go to bed which has been helping to soothe and calm my skin with its organic lavender hydrolsol. Be genki is Australian Certified Organic which is a huge plus that they source from credible suppliers that have worked extremely hard to met the ACO Regulations. 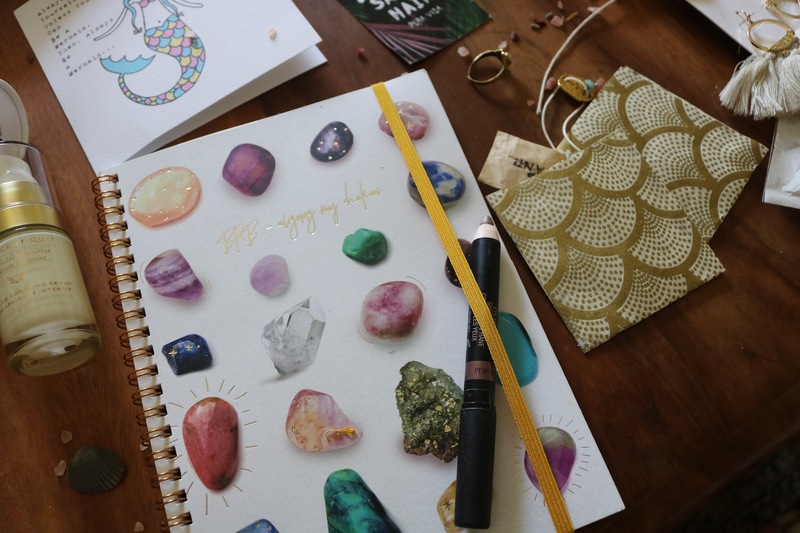 Magical fact: as part of their ritual, once all their sourced organic oils have arrived, team Be genki puts them in a giant one metre tall amethyst crystal cave for 24 hours and craft their products in a lab surrounded by rose quarts and other majestic crystals! 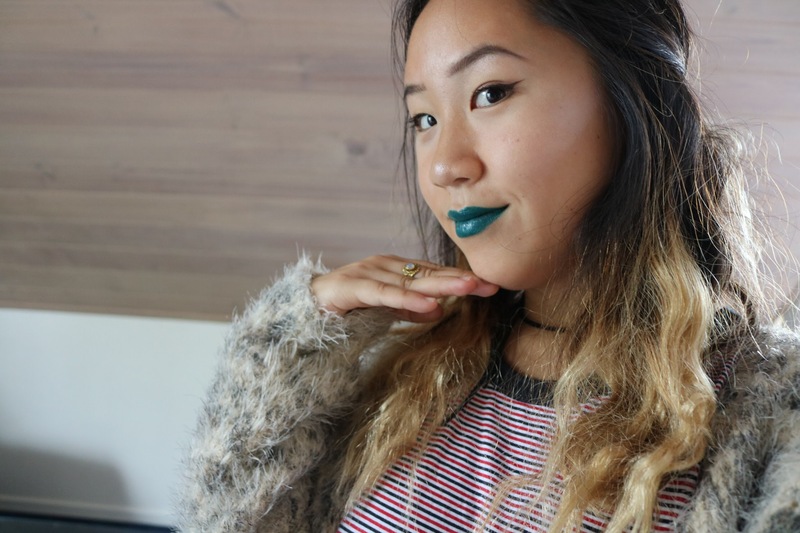 I discovered this new brand in a store in Australia that is similar to Sephora’s style called Mecca Becca that carry’s a bunch of beauty brands and I found the ultimate mermaid lipstick brand, WINKY LUX!! My first tried out their colour “mermaid” (obv) lol and loved it so then I got the Blue Moon and Dandy. I’m extremely picky with anything worn on my lips because their sensitive and they get irritated easily. So no matter how much I love the colour of a lipstick, if my lips don’t like the feels of the formula/texture, it’s in the bin or stored away at the back of my make up draw. Winky Lux passes for both colour and style AND most importantly texture and formula. The lipstick glides on smoothly and full of pigment. It doesn’t feel heavy or irritable on my lips and gives it a nice moisture. Another bonus is that it lasts a long time! Only small critique would be it sometimes does smudge but I mean so does a lot of lipsticks in the market too. I’ve been meaning to try out this brand for the longest time after following them on Instagram for so long and drooling over their beautiful products. I tried out there eye shadow stick which I’ve been using everyday on my eye lids. It’s amazing guys. First off, I love that it’s a penceil stick (perfect for lazy people like me) where I can literally jsut colour in this magical shimmer eye shadow onto my lids with a blender sponge to blend it all in. That’s it! I’m obsessed with this colour Pewter it’s so natural and perfect for everyday and looks good with every outfit. AND it lasts ALL day. literally all day. In Australia I’m sweating heaps like I just took a shower or somethin by the end of the day and my eyes still poppin at the end of the day LOOOOOOOL.